This story first came to light a couple of months ago but until now I’ve not seen any firsthand indication that FileHippo had actually implemented the new system. I’ve been checking the site every few days or so with no sign of any changes. Then, yesterday, I came across numerous downloads on FileHippo involving the Download Manager… or, more accurately, adware wrapper. While the Direct Download link is a welcome option, I can’t help wondering how long it may last. 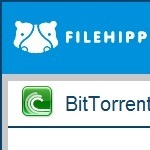 If the existing implementation does not produce the desired effect – obviously an increase in revenue – how long before FileHippo decides to drop the Direct Download option altogether? Besides, users still need to be aware that clicking on the big green Download button is no longer guaranteed to download the desired software directly. In those instances marked with the “Download Manager Enabled” message, only FileHippo’s adware enabled Download Manager will be initially downloaded. These excerpts are shared with permission from davescomputertips.com. Dave's Computer Tips Adware, filehippo, foistware. permalink.